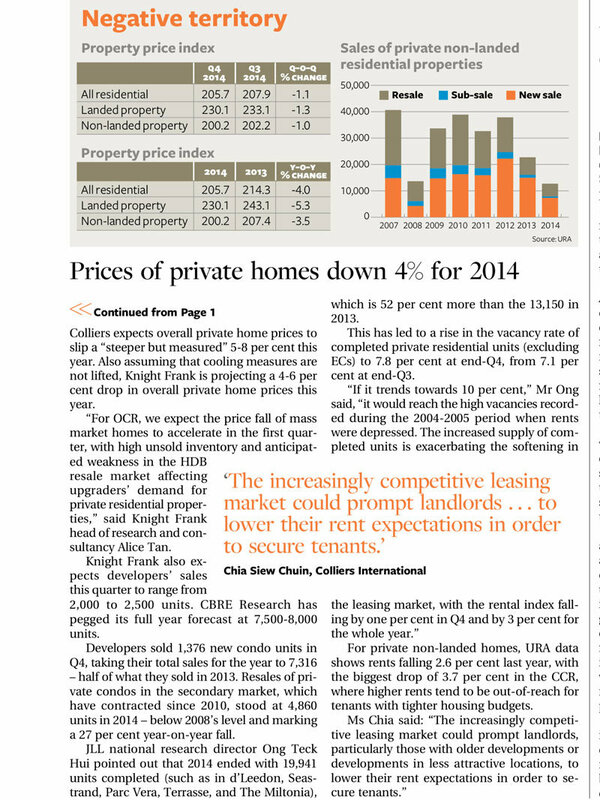 The prices of private residential properties had dropped in 2014 compared to 2013. 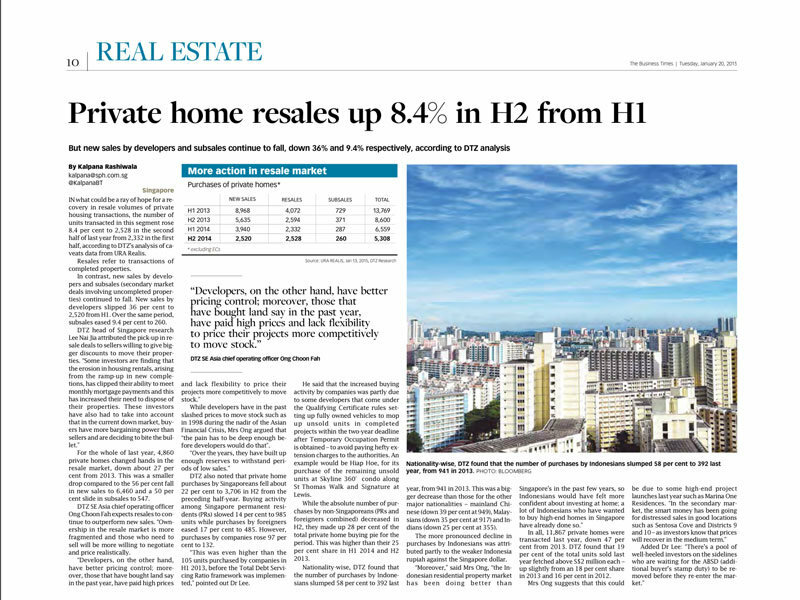 Likewise, in the first half of 2014, the sales transaction of new launches (private residential properties) went down from 5635 (2nd half of 2013) to 2940 . This number further declined to 2520 by the second half of 2014. Resale transaction, on the other hand, fare slightly better as the sales transaction increased slightly in the second half of the year 2014 compared to beginning of 2014. Prices are dipping? Maybe it’s time to look for a second home or a new investment. Do take a look at some of the upcoming new projects we have in our website.